Buying a sewing machine can be tricky. Since there are a lot of sewing machines available in the marketplace, finding the right one can be difficult. If you have you been on the hunt for a sewing machine, then this guide was created specifically with you in mind. 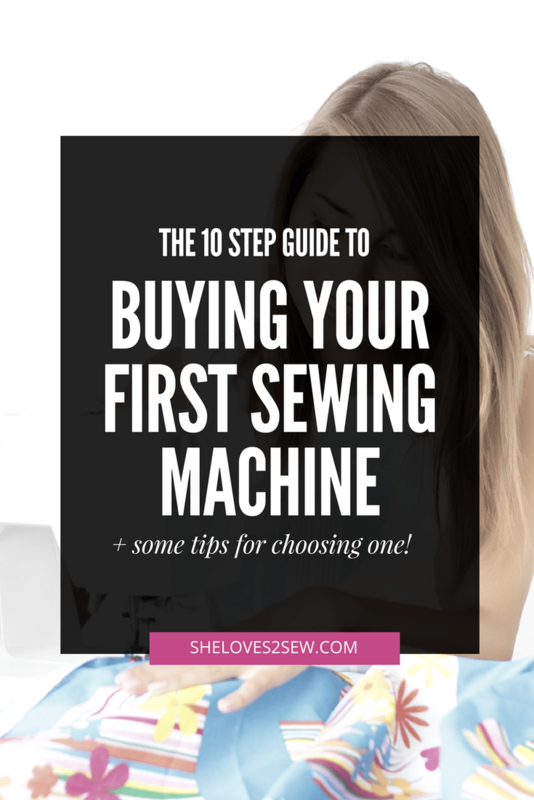 To make help you with your purchasing decision, we have decided to put together a 10 step guide to buying your first sewing machine. Sewing machines are available in varying prices – some are cheap while others are ridiculously expensive. As you consider the cost of the machine, ensure it has all the features that you need for your sewing. Check out our reviews of the best sewing machines and brands before purchasing one. Ensure the sewing machine is accompanied by a warranty either from the manufacturer or the store where you buy. Before buying a sewing machine, you should consider the kind of projects you will be using the machine for. Is it repairs or making clothes and designing? This will help you decide on the number of stiches your machine will have. For instance, if the machine will be for repair, a basic machine with basic stitches will be the most appropriate. Are you an expertise in sewing or a beginner? 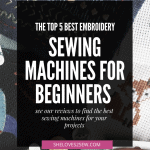 If you are a beginner you may need to consider buying a sewing machine that has basic stitches. If you intend to upgrade in future, you may prefer buying a sewing machine that offers more features. You may not necessarily need these features at the beginning but upgrade with time. If you are an expertise in sewing, you may want a sewing machine that has advanced features. If you will be using the machine frequently, you may want a sewing machine that is strong with a metal frame, various types of stitches and advanced attachments. On the other hand, it may not be cost effective to acquire a sewing machine with these advanced attachments for one day or few times use. Another important factor to consider is whether the sewing machine will have a permanent sewing table. If this is the case, then weight may not be a factor to consider. On the other hand, if the sewing machine will have a moving sewing table, then weight becomes a factor. For mobility purposes, ensure you get a sewing machine that is not bulky and heavy to carry. Most sewing machines are purchased with storage devices that keep off dust and also make transportation of the machine easy and safe. Some sewing machines also have storage compartment that give you safe storage for your sewing accessories. Before purchasing a sewing machine, ensure you have created space and planned where your machine will be stored. There are different stitch patterns for sewing machines but others are basic. One will consider the stitch patterns according to the type of projects they will do. Some of the stitch patterns include, straight stitch, zigzag, button stitch and blind hem stitch just to mention a few. Manual sewing machines – These are the earlier types of sewing machines. They are quite a task to operate. One turns a handwheel with one hand as the other hand moves the fabric under the needle for stitching. While purchasing this type of machine, you should check for one that has standard needles so as to find replacements easily. Another factor to check is to ensure the bobbin is round and not long. Round bobbin makes it easier to wind. Electric sewing machine – Unlike the manual sewing machine that has both hands engage in the sewing, the electric sewing machine allows both hands to be free. The free hands are used to guide the fabric. An electric sewing machine has single motor in the body that uses electric power. The movement of the needle is coordinated by the motor together with the material that is automatically fed to the machine. All this is controlled by a foot pedal. The foot pedal increases or decreases the speed at which you sew. An electric sewing machine has a dial that allows for different size and range of stitches. This is accomplished by turning the dial. Computerized sewing machines – A computerized sewing machine uses several motors. The motors control different functions of the machine. They are controlled by a computer that is pre-programmed. A computerized sewing machine can do different stiches styles. The different stitch styles are made by using a touchpad or pressing a key on a screen. A computerized sewing machine can save different stitches that you have done before for future use. One can also download new designs form the internet. This is a facility that is very important while sewing. It is a removable attachment that is fixed to the machine changing it from flat bed to free arm. Free arm is mostly used while stitching difficult areas but more specifically trouser hems and sleeves. Most sewing machines are accompanied by different accessories. 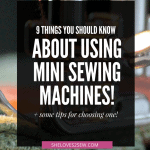 These are items that will help you achieve the best with the sewing machine. An instruction manual – An instruction manual will help you when a problem arises. it also guides you on how to use the sewing machine. Cleaning kit – A cleaning kit will ensure your sewing machine is always neat. A soft dust cover will help keep of dust that can delay the operation of the sewing machine. A hard case cover will ensure the machine is safe and free from interference and dust. Repair kit – A repair kit will contain recommended oil for lubrication, heads needed to fit and tighten screws if need arises. A repair kit will also be accompanied by an instruction manual to help one use the tools appropriately. Seam guide – You do not want to sew seams that are not straight. Therefore you need a seam guide that will ensure the seams are straight and neat. These are specialized tools attached to the sewing machine that improve the functionality of the machine. They also allow the machine to perform specialized functions. Examples of these attachments are hemmer, binder, and buttonholer among others. Each attachment has a manual to outline its functions and how to attach it on the machine. 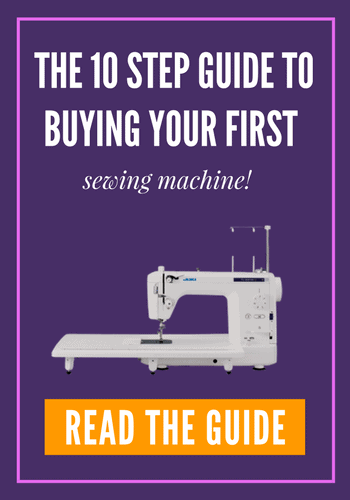 We really hope that this 10 step guide to buying a sewing machine has been helpful in helping you make the best decision towards finding the perfect sewing machine for your sewing projects.